A new article has just been published: Jobjorn Boman, Inpulsore Cherestro? Suetonius’ Divus Claudius 25.4 in Sources and Manuscripts, Liber Annuus 61 (2011), ISSN 0081-8933, Studium Biblicum Franciscanum, Jerusalem 2012, pp. 355-376. It is a study of the manuscripts containing the Suetonian phrase Iudaeos impulsore Chresto assidue tumultuantis Roma expulit – in the translation given in the article: From Rome he (Claudius) expelled the perpetually tumultuating Jews prompted by Chrestus. Having right from the start in 2010 followed the process of (and hopefully also contributed to) this article’s coming into being; I have eagerly waited to be able to refer to the results. The article is quite dense, and to my satisfaction, filled with facts, without the unnecessary filling and euphemisms. The report is simply clear and precise. The study is accordingly about the “famous Chrest-sentence, which has been connected to ancient Christianity – the one in the Lives of the Twelve Caesars by the Roman historian and biographer Gaius Suetonius Tranquillus (c. 70-after 130 CE).” As readers of this blog may know, many believe that this Chresto is a reference to Jesus. Some have even suggested that Suetonius actually wrote Christo (ablative of Christus), so in order to reasonably establish the most probable reading, this study is most welcome. In 2011, a study of a few manuscripts of Suetonius regarding the reading of Suetonius’ Nero 16.2 was done, and this showed that the original reading probably was christiani. I summarized this in Swedish in Skrev Suetonius kristna eller krestna? There are more than 200 handwritten manuscripts of De Vita Caesarum, i.e. the Lives of the Twelve Caesars “extant, and over half of them were written after 1375”. The oldest manuscript, Parisinus Lat. 6115 or Memmianus, is believed to be from c. 820 CE. Ω. Early ancestor of P, written in capitals, possibly of fifth century. P. Archetype of all the known Mss. of the De Vita Caesarum. X. Archetype of the Mss. of the first group. Z. Archetype of the Mss. of the second group. x. Archetype of B and x’. x’. Archetype of a b c f.
E. Archetype of A and D. (The footnote says: “M. Preud ‘homme does not give E in his scheme, but I have ventured to introduce it on the strength of his remarks in T. E. 37 regarding the relationship of A and J”). A. Codex Memmianus, Parisinus 6115, ninth century. B. Codex Vaticanus Lipsii, No. 1904, eleventh century, containing only the first three Lives and a short portion of the Caligula. C. Codex Wulfenbuttelanus or Gudianus 268, eleventh century. D. Codex Parisinus 5804, fourteenth century. a. Codex Mediceus 68, 7 (called by Roth, after Jac. Gronovius, Med. 3), eleventh century. b. Codex Parisinus 5801, twelfth century. c. Codex Mediceus 66, 39 (called by Both, after Jac. Gronovius, Med. 1), thirteenth century. f. Codex Montepessulanus 117, thirteenth century. α. Codex Londiniensis, Brit. Mus. 15 C III, twelfth century. β. Codex Parisinus 6116, twelfth century. γ. Codex Parisinus 5802, thirteenth century. δ. Codex Mediceus 64, 8 (called by Both, after Jac. Gronovius, Med. 2), thirteenth century. ζ. Codex Cantabrigensis, kk. 5, 24, thirteenth century. η. Codex Sioneusis, twelfth century. θ. Codex Dunelmensis, C III 18, twelfth century. κ. Codex Sionensis, twelfth century. λ. Codex Londiniensis, Brit. Mus. 15 C IV, thirteenth century. The existing Mss. fall then into two groups, X and Z, of which the first is the more important upon the whole, since it contains four codices (A B C a) of greater antiquity than any in the second division, and also because the lines of descent are so much better defined in it than in Z”. In total, a majority of c. 51 % (21 of 41) of all the collected manuscripts read Chresto. If the one MS reading Cresto is included, the Chresto group include c. 53.7 % (22 of 41) of the collected MSS. The second largest group is the c. 31.7 % (13 of 41) reading Cherestro. The MSS reading a variant of the title Christ (xpo, xpisto, Christo and Cristo) form a small group of c. 9.8 % (4 of 41). 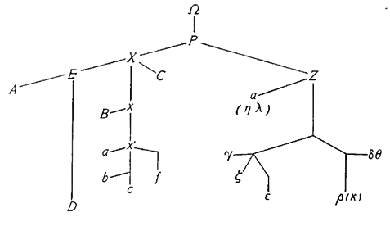 The hapaxes are Cresto, Chrestro and Cheresto (c. 2.4 % – one MS – each). A spelling with an e is used in 90.2 % (37 of 41) of the collected manuscripts. It should also be noted, that the variants of “Christ” occur in late to even later manuscripts, and then mostly in the less reliable Z-group. The reading also seems to depend upon earlier Christian interpretations of Suetonius. Many modern scholars seem to have been either ignorant of these variants, or to have believed in non-existent variants. For instance “Maximilian Ihm, Henri Ailloud and John Carew Rolfe … note no other variant reading for Chresto than Orosius’ Christo (v.i. ), which made Van Voorst believe that ‘the Latin text is sound’ and that no copyist ever ‘ventured to change Chresto to Christo’.” This we know is wrong. “Lævinus Torrentius (1525-1595), writes … that the reading Chresto indeed was evident only in one “of our manuscripts”, and that all the others had Cheresto, Cherestro or Chiresto”, and this is repeated again and again. Even in modern time, “Helga Botermann (1996) writes that apart from occasional (vereinzeltem) Christo and Chresto, the MSS give Cheresto, Cherestro and Chiresto.” That is the same Botermann that I have examined in five subsequent Swedish blog posts starting from here. The manuscript which Boman has examined has the reading “Chresto, Cherestro, Cresto, Chrestro,Cheresto, Christo, xpo, xpisto, and Cristo. The readings Chestro, Chiresto and Chirestro, mentioned by Burman, Torrentius and Baumgarten-Crusius,” were not found, and Chestro and Chirestro might be misspellings. The truth is that Chresto is the dominant reading and Cheresto (which is not a proper name and might be just a misspelling that has been repeated through copying) covers most of the remaining instances. The few variants of Christ seem all to be simply alterations made in order to harmonize the text with incipient notion that Suetonius meant Christ – a notion that derive its origin already from Orosius. Claudius Iudaeos inpulsore Christo adsidue tumultuantes Roma expulit. In Orosius the name Chresto is replaced by Christo. This has led many to claim that Orosius has preserved the original reading, which then should have been Christo. But Boman goes against this idea by noticing that Orosius is not quoting Suetonius. He includes “the name Claudius, which Suetonius does not supply,” and Boman also refers to “other minor discrepancies between Suetonius and Orosius”. He says that in every one of the Orosian manuscript he has checked, the name is abbreviated into xpo or the like by using nomina sacra. This means that irrespective of the name being Chresto or Christo, it is just spelled CH-R-O. So we do not know if Orosius actually wrote Christus, as occasionally also the name Chrestus is abbreviated. Orosius for sure interpreted the Suetonian sentenced as if it referred to Christ, but this does not mean that it also read Christo. In fact, since he saw this as a reference to Christ, it is quite likely the later copyists of Orosius changed the quotation to read Christo (or more exactly X-P-O). So, the Christian sources cannot reasonably establish the text of Suetonius and the manuscripts of the Lives of the Twelve Caesars point to Chresto. About 90 % of the collected manuscripts use an e, and the most common, earliest and most trustworthy spelling is indeed Chresto, which is an intelligible Latin word (the ablative of the proper name Chrestus). Chresto is also lectio difficilior compared to e.g. xpo. Accordingly, I, in agreement with the modern editions of De Vita Caesarum, conclude that the original Suetonian spelling of the word in fact was Chresto. Good post. I learn something new and challenging on websites I stumbleupon every day. It’s always exciting to read content from other authors and use something from other sites.